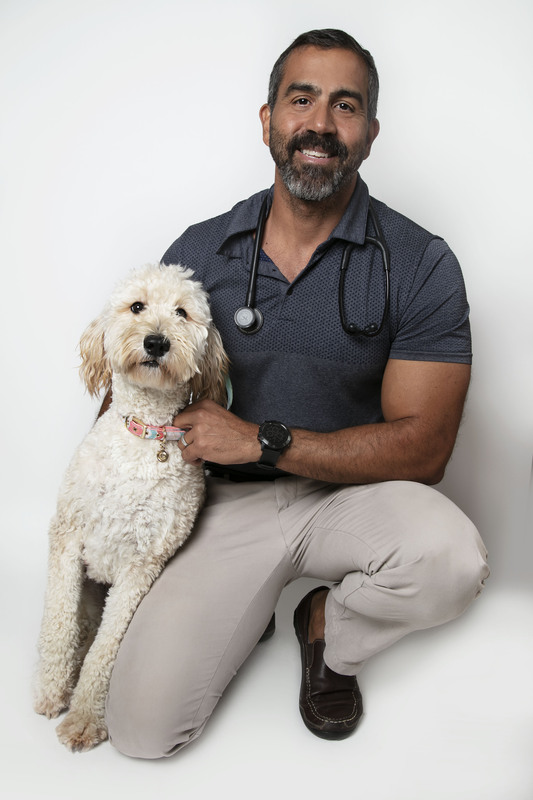 Dr. Daniel Diaz is originally from Puerto Rico and graduated from Louisiana State University. He is the practice manager and has lived in Las Vegas for the past thirteen years. He and his wife, Krista welcomed their first baby, a little girl named Stella, in March. 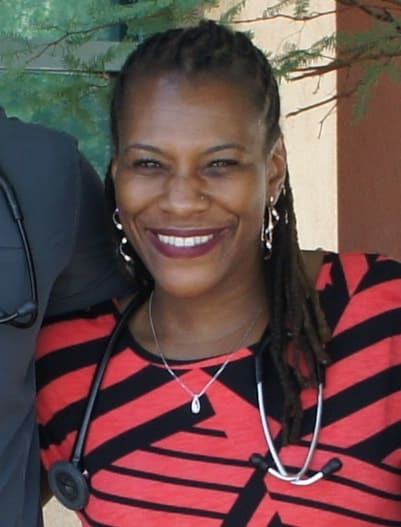 Dr. Yolette Hines is originally from Pinehurst, North Carolina. She received her B.S. from Winston Salem State University in 1995. She then went on to earn her Doctor of Veterinary Medicine (D.V.M.) from Tuskegee University School of Veterinary Medicine in 2004. While studying at Tuskegee, Dr. Hines took a special interest in small animal surgery. When she's not working at Pebble Maryland Animal Hospital, she likes to cook, dance and above all else, spend time with her son, Jayven. She has one Peterbald cat named Lincoln. Dr. Carolyn Garcia was born and raised in Baton Rouge, Louisiana. She received her bachelor degree in Animal Science and Technology at Louisiana State University. 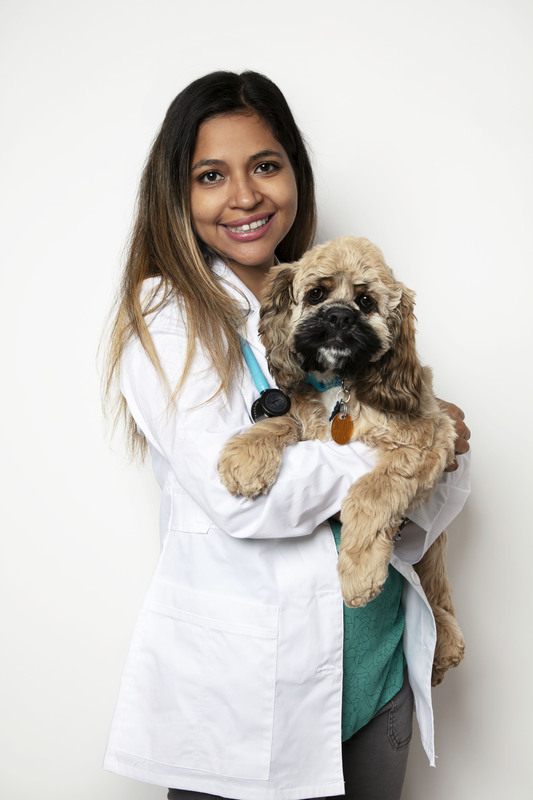 She then went to Louisiana State University School of Veterinary Medicine to receive her Doctorate of Veterinary Medicine with Honors in May 2013. She was also the president of the LSU Shelter Medicine Club and played an active role in hosting fundraisers for local shelters and adoption programs. She currently owns three cats- Mochi, Roulette, and Minou. She and her husband Nick welcomed their first child Nathan in March 2017. In her free time, she enjoys family time, traveling, and cooking. Dr. Carmen Mancia was born in El Salvador and grew up in Lawrenceville, GA. She received her Bachelor of Science in Forest Resources from the University of Georgia. 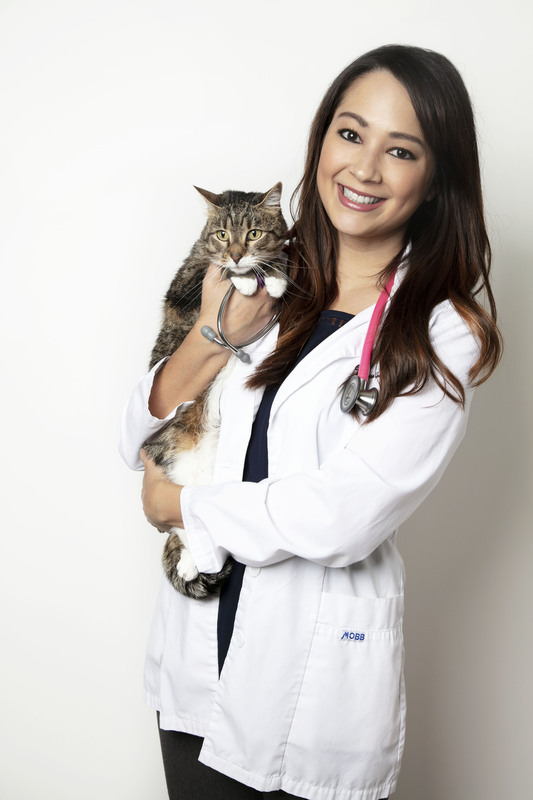 She received her Doctorate of Veterinary Medicine from St. George's University. She currently has a Cocker Spaniel named Teddie. In her free time, Carmen likes traveling, hiking, going to the beach, and spending time with family and friends. 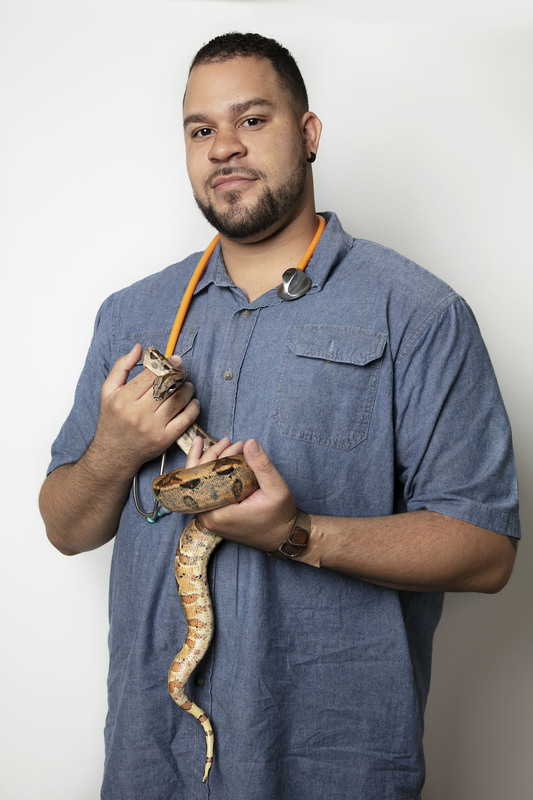 Dr. Thomas Logan graduated from the School of Veterinary Medicine at Tuskegee University. He grew up in San Diego and has two dogs: Jewels, a German Shepherd, and Starfire, an American Bulldog. 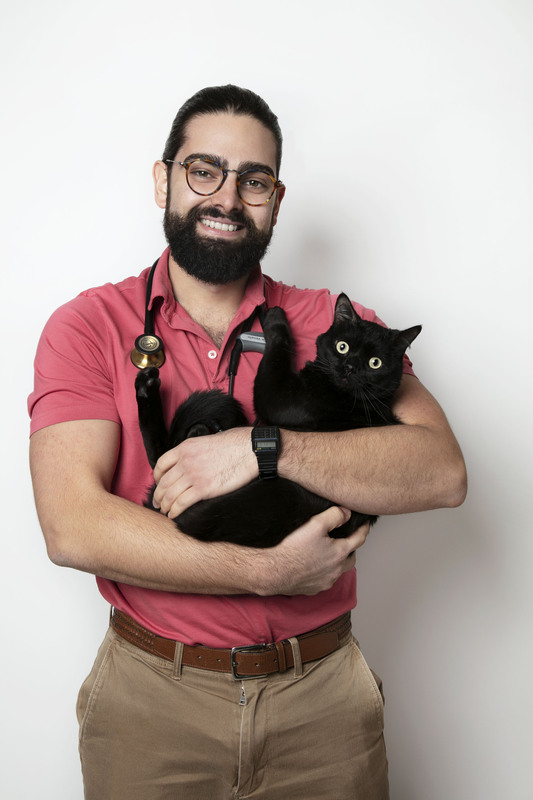 In his spare time, Dr. Logan likes to garden, workout and take long walks with his girls. Dr. Katie Duneman is originally from St. Louis, Missouri. 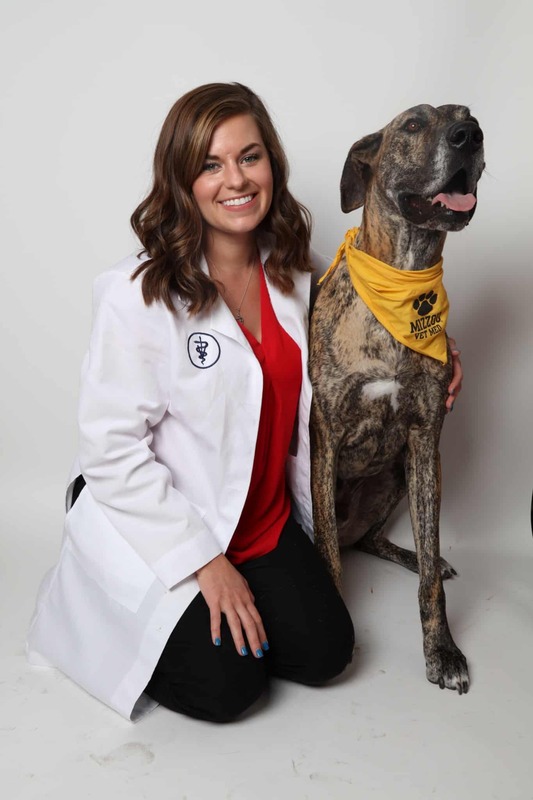 She graduated from the University of Missouri with a Bachelors of Animal Sciences, Masters of Public Health, and Doctorate of Veterinary Medicine. She enjoys hiking, horseback riding, and days at the beach. 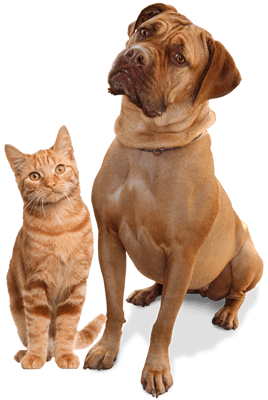 Dr. Duneman’s pack includes her three Great Danes, Axel, Lennie, and Nana Jo, and also her two kitties, Chip and Stella. Her professional interests are reproduction, neonatology, and emergency medicine. M-I-Z!